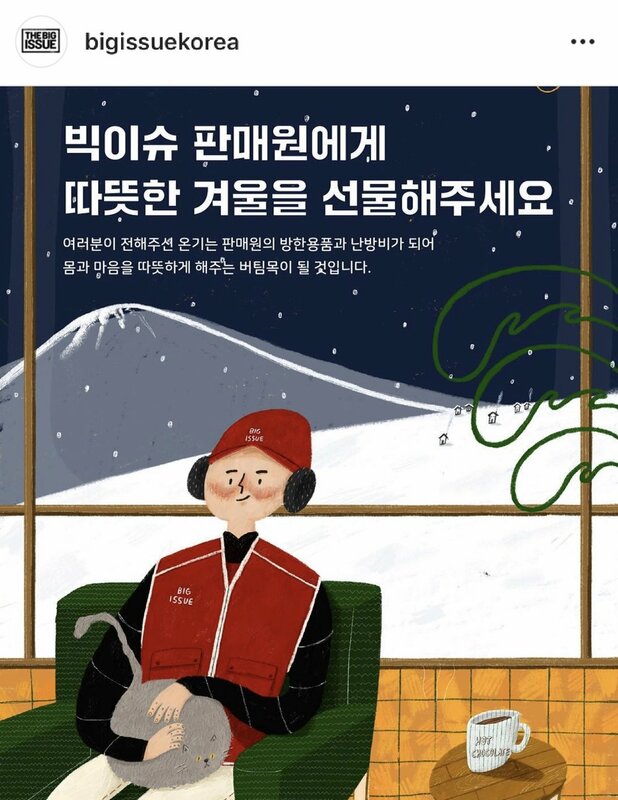 These illustrations are for Big Issue Korea. First illustration is about promotion of homeless world cup. Second illustration is to raise money to give homeless winter goods in Winter. Both illustrations are posted on official Big Issue Korea instagram and are published Big Issue Magazine on November and September .